They are often grown in the United States, especially in Arizona, California, Florida, and Texas as well as other tropical climates such as the Caribbean islands. Grapefruits are produced from a sub-tropical citrus tree that was grown for its fruit which was originally named the "forbidden fruit" of Barbados. These evergreen trees are usually found at around 5-6 m tall, although they can reach 13-15 m. The leaves are dark green, long (up to 150 mm), and thin. It produces 5 cm white flowers that have four petals. 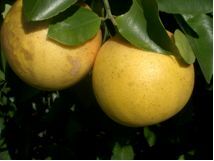 The fruit is yellow-skinned, largely oblate, ranges in diameter from 10-15 cm, and has an acidic yellow segmented pulp. Its numerous cultivars include the white and the red varieties, both of which have a patent since 1929 known as United States Ruby Red (of the Redblush variety). The fruit has only become popular since the late 19th century. Before that it was only grown as an ornamental plant. The United States quickly became a major producer of the fruit, with orchards in Florida, Texas, Arizona, and California. In Spanish, the fruit is known as toronja or pomelo. In 1750, Reverend Griffith Hughes was the first person to document the fruit in Barbados. It had developed as a hybrid of the pomelo (Citrus maxima) and the sweet orange (Citrus sinensis), though it is closer to the former. It was brought to Florida by Zodette Philippe in 1823. 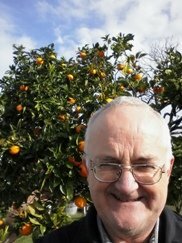 Further crosses have produced the tangelo (1905), the Minneola (1931), and the sweetie (1984). It was known as the shaddock or Shattuck until the 1800s. Its current name refers to clusters of the fruit on the tree, which often appear similar to grapes. Botanically, it was not distinguished from the pomelo until the 1830s, when it was given the name Citrus paradisi. Its true origins were not determined until the 1940s. This led to the official name being altered to Citrus × paradisi. On islands like Barbados,it is considered to be one of the “Seven Wonders”. They come in many varieties, which are determined by their color because the pigmentation of the fruit represents its state of ripeness and genetic bend. The most popular varieties cultivated today are red, white, and pink hues. These colors refer to the color of the fruit’s pulp. The family of flavors range from highly acidic and somewhat bitter to sweet and tart. Para-1-menthene-8-thiol, a sulfur-containing terpene, is one of the substances that have a strong influence on the taste and odor of the fruit, compared with other citrus fruits. They are most often eaten fresh or cut to be used in salads. They can be covered in brown sugar and broiled. They can also be canned and frozen. The fruit's peel oil is used for aromatherapy and it is historically known for its aromatic scent. Grapefruits contain Vitamin C, A, and B5 as well as folate, potassium, and dietary fibers. They also contain flavonoid glycosides like dihydroxybergamottin, bergamottin, and naringin, which often interact with drugs and increase the effective potency of certain compounds. The effect of it's juice with regard to drug absorption was originally discovered in 1989. However, these effects became well-publicized after the fruit was held responsible for a number of deaths that were caused by drug overdoses (5). Carotenoid phytonutrients like lycopene give red and pink varieties their rich color. Lycopene also appears to have anticarcinogenic properties. In comparison with other carotenoids, lycopene has the strongest antioxidant (free radical scavenging) activity. Liminoids are also phytonutrients found in them that stimulate the expression of a detoxifying enzyme called glutathione-S-transferase, which inhibits tumor cell proliferation (6). Grapefruits are an excellent source of nutrients and phytochemicals that are essential for a healthy diet (9). They are not only a good source of vitamin C, they contain antioxidants like lycopene and limonin. Even the seeds contain low levels of antioxidants (6). They also contain a soluble fiber called pectin, which has been shown to decrease the progression of atherosclerosis. Red and yellow varieties have been shown to reduce low-density lipoprotein, LDL (bad cholesterol) and red grapefruits lower triglycerides (6). The fruit forms a core part of the "grapefruit diet", the theory being that the fruit's low glycemic index is able to help the body's metabolism by increasing the rate at which it burns fat (8). 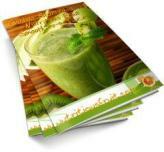 In addition, the juice decreases the risk of developing kidney stones. A study found that people who drank at least 1 liter of grapefruit, apple, or orange juice daily reduced their risk of developing calcium oxalate stones by increasing the pH value and citric acid content of their urine (3). The fruit's seed extract is claimed to be a strong antimicrobial agent with proven activity against bacteria and fungi (7). However, studies have shown that the efficacy of the seed extract as an antimicrobial is not clearly evident (1),(2). On a rather concerning note, a 2007 study found a correlation between eating a quarter of a fruit daily and a 30% increase in risk for breast cancer in post-menopausal women. The study points to the inhibition of CYP3A4 enzyme by grapefruit, which metabolizes estrogen (4). Cvetnic Z, Vladimir-Knezevic S. (2004) Antimicrobial acitivity of grapefruit seed and pulp ethanolic extract, Acta Pharmaceutical, 54(3):243-5. Ganzera M, Aberham A, Stuppner H. (2006) Development and validation of an HPLC/UV/MS method for simultaneous determination of 18 preservatives in grapefruit seed extract. Journal of Agricultural Food Chemistry, 54(11):3768-72. Honow R, Laube N, Schneider A, Kessler T, Hesse. 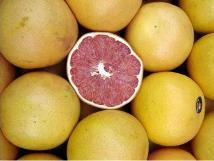 (2003) Influence of grapefruit-, orange- and apple-juice consumption on urinary variables and risk of crystallization. British Journal of Nutrition , 90(2):295-300. 2003. Monroe KR, Murphy SP, Kolonel LN, Pike MC. 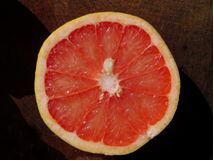 (2007) Prospective study of grapefruit intake and risk of breast cancer in postmenopausal women: the Multiethnic Cohort Study. British Journal of Cancer, 97:440-445. Neuman M. (2002) Metabolic effects and drug interactions provoked by certain vegetables: grapefruit, St. John's wort and garlic. La Presse Medicale, 21;31(30):1416-22.
von Woedtke T, Schlüter B, Pflegel P, Lindequist U, Jülich WD. (1999) Aspects of the antimicrobial efficacy of grapefruit seed extract and its relation to preservative substances contained. Archiv de Pharmazie 54:452 -456. Zitnik R. (1968) First, you take a grapefruit. American Journal of Nursing, 68(6): 1284-1286. 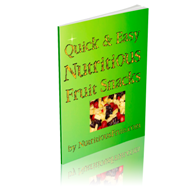 Nutritiousfruit.com provides this website as a service. Although the information contained within the website is periodically updated, no guarantee is given that the information provided is correct, complete, and/or up-to-date. The materials contained on this website are provided for general information purposes only and do not constitute legal or other professional advice on any subject matter. 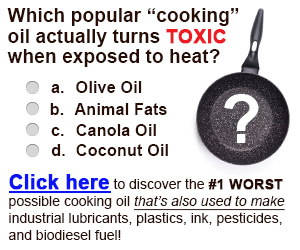 Nutrtiousfruit.com does not accept any responsibility for any loss, which may arise from reliance on information contained on this website. The information and references in this website are intended solely for the general information for the reader. The content of this website are not intended to offer personal medical advice, diagnose health problems or to be used for treatment purposes. It is not a substitute for medical care provided by a licensed and qualified health professional. Please consult your health care provider for any advice on medications.